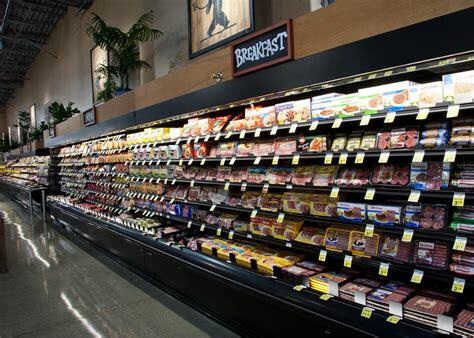 Our supermarket Refrigerated display cases are designed for maximum merchandising flexibility. Triple S sells Refrigerated Cases throughout the state of Florida cities including Miami, Key West, Florida Keys, Hollywood, Fort Lauderdale, Pompano Beach, West Palm Beach, Boca Raton, Fort Myers, Fort Pierce, Orlando, Tampa. We also sell supermarket shopping carts to Central and South America and the Caribbean Islands. Our unique case designs ensure uniform performance and lower average product temperatures. Easy product access and compelling aesthetics create a superior shopper experience where the food is the main focus. 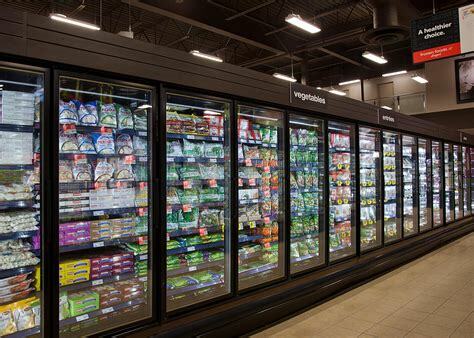 Behind the scenes, Triple S International’s supermarket merchandising display cases feature industry-leading energy efficient refrigeration and lighting technologies. From meat and seafood to prepared food destination centers, there is a case for every application. Most of our refrigerated cases can be customized to suit the needs of your market! The full-service merchandiser is ideal for fresh meat applications to keep product at consistent temperatures increasing its shelf life. The unique energy efficiency design ensures uniform case performance and lower average product temperatures. The all-steel construction increases life span and structural integrity. The case's partitions line up with other merchandisers to create a continuous display. Customize with a variety of front panel and lighting options as well as shelf sizes ranging from 10" to 20". Generate significant display impact with wide glass doors to increase product visibility. An outstanding merchandiser for beverages, dairy, deli, fresh meat and floral. Our design ensures a uniform temperature at optimum efficiency. Your medium temperature items such as dairy, deli, and beverages will be showcased in these beautifully lit self-contained cases. The built-in compressor and evaporator pan means this unit can be placed anywhere in your store. medium-temperature merchandiser with Low Front for dairy, deli, produce and beverage products. Low-Temperature Reach-In and Remote merchandisers for frozen food.